It's a shame some of the images are not more clear here, but feel free to check my Pinterest out. My inspiration posts are going to become a recurring thing on my blog. People that know me tend to think I am always in a world of my own and they are not wrong. I just sit there dreaming of the day I am living in a city, working hard, in an apartment with white walls, chic furnishings, the odd vintage staple and a shelf full of Vogue magazines. I think we all dream. 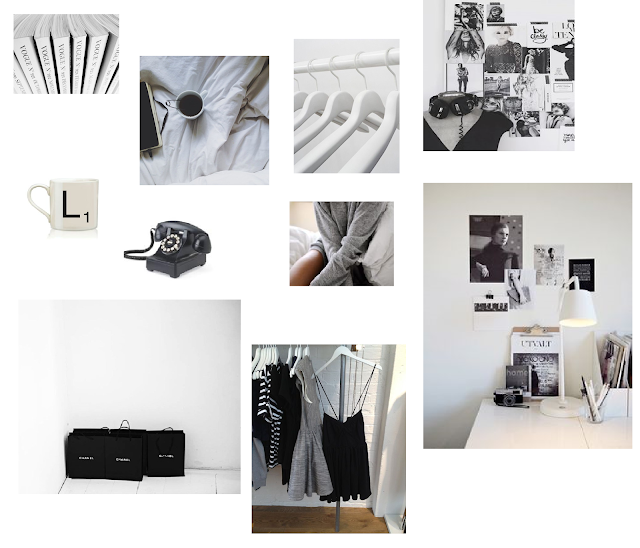 Love the black and white theme!! Your blog is lovely, just followed you :) If you're interested I'd love it if you could check out my blog as well, I can't wait to read more from you!